Mustang Island was named for the wild horses that roamed the island for hundreds of years. No one is sure how the mustangs got here. Spaniards might have brought them, or perhaps they swam from a shipwreck. In the 19th century, ranches began infringing on the mustangs’ habitat. By the late 1800s, the herds of wild mustangs had disappeared from the island. 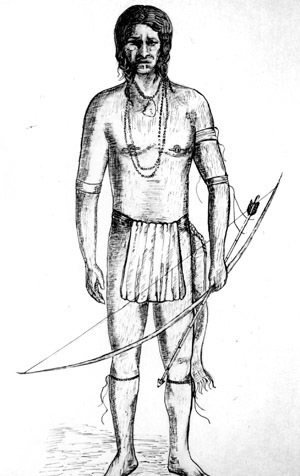 Karankawa Indians were the earliest known inhabitants of Mustang Island. Fish and shellfish, small game and local plants kept them healthy and well-fed year-round. French explorer Jean Beranger came to the island in the early 1700s while scouting for a colony site. He was the first to record seeing Karankawa here. Alonso Álvarez de Pineda first mapped this section of the Gulf Coast in 1519. In 1747, Captain Joaquín de Orobio y Basterra landed here and trekked overland to a bay that he named San Miguel Arcangel. That bay was renamed Corpus Christi by Diego Ortiz Parrilla, who explored the coast in 1756. Home of the Mercer family, early island ranchers. Photo courtesy of Port Aransas Museum. Settlers began farming and running cattle, sheep and hogs on the island in the mid-1840s. The island was hard to get to and didn’t have much drinkable water, so few people settled here. A small fort built on the island during the Mexican War (1846-48) guarded the entrance to Aransas Bay. During the Civil War, the Union Navy blockaded the coastal area, but no major battles occurred here. The island has always appealed to survivors, dreamers and schemers. Some of those dreams and schemes have come to fruition. A major construction project to dredge and stabilize Aransas Pass began in the 1880s and took nearly 40 years. This project allowed ships access to the Corpus Christi port. Corpus Christi is a major shipping hub today. The island’s only town began as Mercer’s Dock; a hurricane destroyed it in 1875. It was replaced by a community named Mustang Island. Subsequent names were Ropesville and Tarpon. 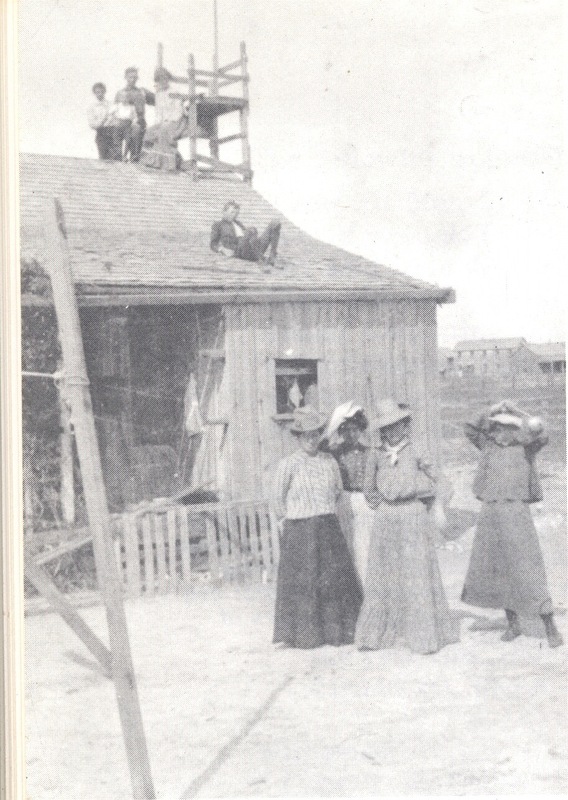 In 1911, the town’s name became Port Aransas. A booming tourism industry developed on the island in the 1900s. Mustang Island is still a popular vacation destination. TPWD bought 3,954 acres on Mustang Island in 1972 from private owners. The park opened in 1979. The unique and fragile barrier island ecosystem is protected within the park’s borders. The park offers visitors outdoor recreation and programs on the nature and history of the area. 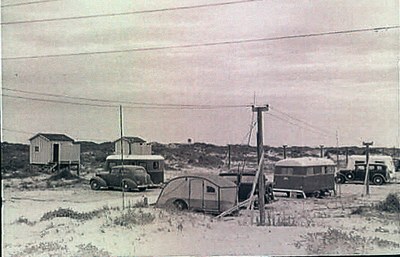 RV park on the beach, February 1939. Photo courtesy of Port Aransas Museum. Drive and hike only in designated areas. Stay off the dunes, as they are fragile. Put trash in bins or take it with you. Put used fishing line in trash bins, too. Fishing line entangles and injures marine creatures. Do not bring glass to the beach!